The way in which the FDA approves proposed drug names is changing as the agency increases its focus on drug safety through preventing medication errors. The Division of Medication Error Prevention (DMEDP) is taking the lead in regulatory actions related to proprietary name review and medication error prevention, Susan Proulx, president of Med-ERRS, said at an FDAnews audioconference last week. Previously, DMEDP checked proposed drug names to see if they were similar enough to existing drug names to potentially cause medication errors. It then issued a recommendation to the relevant drug-reviewing division, which could overrule it. Under a memorandum of agreement signed this month between the FDA’s Office of New Drugs and Office of Surveillance and Epidemiology (OSE), “there will be more transparency, and DMEDP will have more say,” Proulx said. DMEDP may get the final say on whether a proposed drug name can be approved rather than the reviewing division, she added. The goal is to improve drug safety by decreasing the risk of medication errors caused by name confusion. The Securities and Exchange Commission took action against several small accounting firms and their principals, saying they audited public companies without having registered with the Public Company Accounting Oversight Board (PCAOB). Each of the firms and individuals consented to the issuance of the SEC orders without admitting to or denying any of the findings. Between 2003 and 2007, the FDA issued 42 letters requesting companies stop marketing products for off-label uses, but did not refer any of the violations to the Department of Justice (DOJ) for enforcement actions. During the same time, the DOJ settled 11 civil and criminal cases that involved off-label marketing to some extent. Senator Charles Grassley (R-IA) requested the review. The change will make it easier for accounting firms to continue their work after a merger. The Public Company Accounting Oversight Board on Tuesday approved a new rule that will allow accounting firms to keep their registered status after a merger or change of name. The rule—and the accompanying form—spells out the circumstances where a firm can keep its registration status even if it becomes a new “legal entity.” First proposed in May 2006, the new rule is intended to protect auditors from having to stop their work because of a gap in their registration status. The circumstances include any changes in a firm’s legal organization or the jurisdiction in which it’s organized. A registered firm can also continue operating if it acquires or combines with an unregistered firm to form a new company. The PCAOB unanimously approved the new rule, which will be submitted to the Securities and Exchange Commission for final approval. To address Sarbanes-Oxley compliance, many companies put in place technology platforms that now support a variety of risk and compliance initiatives. Sarbanes-Oxley solutions were generally purchased with the tacit approval of IT, but few IT organizations standardized on a strategy for managing risk and compliance data. A lot of companies have moved to augment enterprise risk management platforms with dedicated governance, risk and compliance (GRC) solutions. That trend isn’t going to disappear anytime soon, but some companies will likely come away disappointed with the results. It’s fair to say that automation can seem like anything but in a lot of cases. Newsfactor.com offers a list of 10 ERM-GRC myths. Few companies can grow without taking risks. But poor risk management leads to surprises in business operations that can impact shareholder confidence, regulatory oversight and the bottom line. An unprecedented wave of regulatory oversight in recent years has convinced many organizations how inadequate their enterprise risk management (ERM) policies and procedures really are. Myth Number 4: Enterprise Risk Management Is Dead! It is the first clear lead in the Gujarat terror strike. 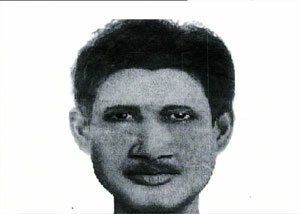 The police has a sketch of a suspect to work on. He was allegedly seen putting explosives in one of the cars found in Surat on Sunday. Luckily that bomb was defused. Minutes after yet another bomb was detected in the textile town and defused before it could cause damage. This is the third narrow escape for people in Surat in the last twenty-four hours. The device is a cocktail of ammonium nitrate, shrapnels, timer-device, at a place where people congregate. Just two days after four bombs were found in Surat, six more live bombs were found in the city, four of which were defused by the Bomb Disposal Squad. Efforts are on to defuse the fifth and sixth bombs. 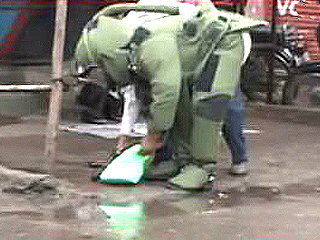 Earlier, the first bomb was found near the Ladeshwar Police Chowky in the Varaccha area of the city. Another live bomb was recovered from a market in Santosh Nagar, and was confirmed by Assistant Commissioner of Police, Surat. The other explosives were reportedly recovered from the Mini Diamond market in Varaccha area of the city. Following initial reports of the same, Surat police officials rushed to the area. The bombs were reportedly detonators, which could have gone off causing minor damage to the surroundings. The bombs recovered by the Bomb Disposal squad bare an uncanny resemblance with each other and the ones that were found on Sunday (July 27). The explosives are reportedly wrapped in a newspaper which looks to be from the city of Vadodara. Police officials suspect that more explosive-like substances have been planted in different parts the city. Following the alerts, the police cordoned off the area and restricted the traffic. Pedestrians were asked to keep off the area for security reasons. Meanwhile, there were reports that the OPD at the Ahmedabad’s Civil Hospital had been evacuated after authorities reportedly received a call informing of a possible bomb. However, the police confirmed that it was a hoax call. You are currently browsing the Free to share your thoughts blog archives for July, 2008.